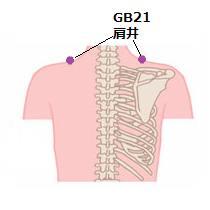 For Fatigue use acupoints of LI10 (手三里), ST36 (足三里), GB21 (肩井). 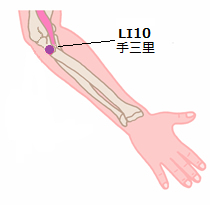 LI10 : When the elbow is fully flexed, LI11 is located in the depression on the lateral end of the cubital crease. LI10 is located from LI11 towards wrist three fingers length. ST36 : Use a finger to slide up the tibia, then finger will be stopped automatically. 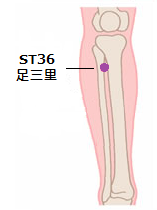 just beside (lateral of tibia) where the finger stopped is ST36. GB21 : With fingers touch the opposite side of the shoulder. The place where the middle finger hits is GB21.